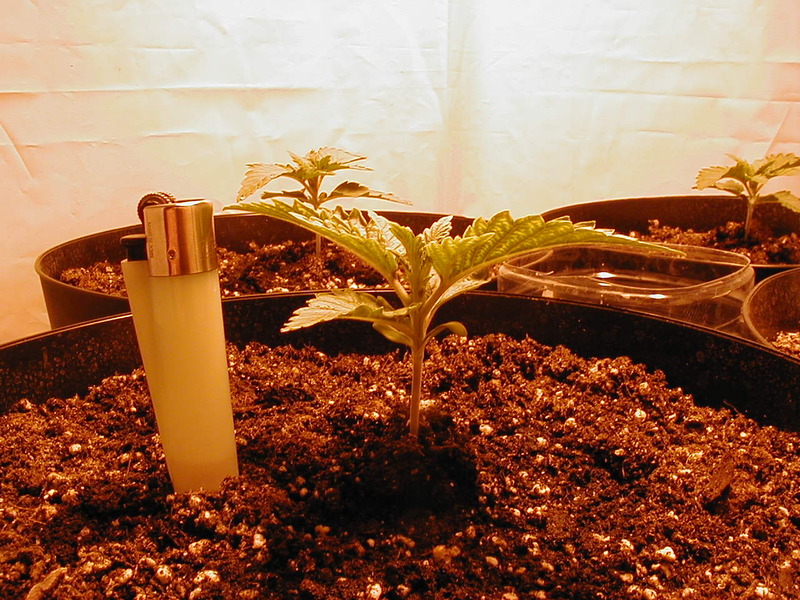 MARIJUANA SEEDS Cloning Marijuana plants is the best way to guarantee female marijuana plants. the best way to start is to get your clone from a marijuana ( cannabis) plant you know is of high quality. so buy some good marijuana seeds then clone the female plant. Once you have a healthy marijuana plant you know is of high quality. you can start cloning marijuana. Marijuana Cloning is the process of making an exact copy of a living thing, in this case a marijuana plant. Cloning has many advantages to offer the advanced grower: first, the process of germination can be skipped over, saving valuable time. Second, the exact genetics of your best female can be preserved forever. Third, growers will save money by not having to purchase seeds every year. Though you should really only clone the same plant( genes) 3-4 times after this the chance of your clone becoming hermaphrodite greatly increases, also the plant quality slowly decreases. the first 3-4 clones of the same gene should be fine. For marijuana (cannabis) growers cloning is a must to ensure that only females will be grown and no space is wasted on males. also means that a whole crop of females will not be made to seed by one or two males in the same room. What do I need to start Marijuana Cloning? To begin cloning you will need a mother plant. A mother plant is the plant all of the cuttings will be taken from. It should exhibit qualities such as fast growth, high potency and mould and pest resistance. this is why its so important to get good seeds to start with. The mother should be kept in vegetative growth( 16 = hours light) all the time under a Metal halide light. Other things that will be needed are small plate), a shallow tray that will hold about three inches of water. An aquarium air pump, rooting hormone and high P fertilizer. 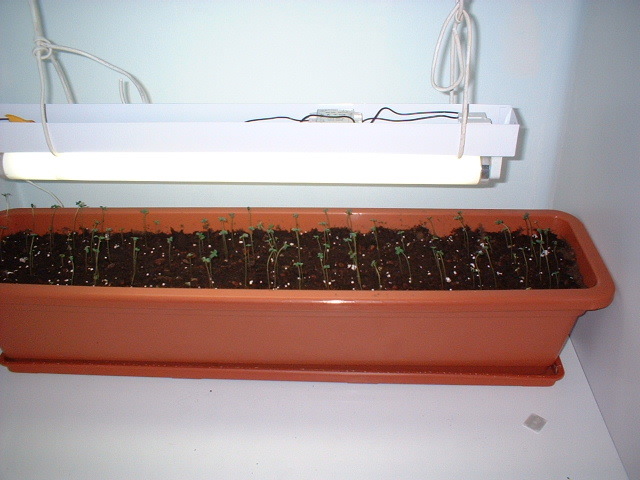 Light will be provided by fluorescents hung seven inches above the plant tops. Many people today use rock wool for examples check out weed pics this site has pictures of marijuana plants being cloned. First set the tray in a separate area from all the other plants. A separate closet or basement is good. Fill the tray with water (boiled for 20 minutes) mixed with liquid rooting hormone. Install the aquarium air pump to oxygenate the water. The size of the pump depends on the size of the tray. Make an anti-siphon loop in the hose to the pump to prevent water from getting into it if the power should go out. Next hang the fluorescents about 12 inches from the top of the tray. This will leave about 7 inches from the tops of the cuttings to the lights. if you use rock wool, to clone marijuana the air pump to oxygenate the water is less necessary. Once the cloning area is set up the clones can be taken from the mother cannabis plant. Taking clones is almost the same as pruning so when you prune instead of throwing away the cuttings they can be made into clones. The first cut should be made with sharp scissors or a razor blade sterilized with rubbing alcohol. The cutting should be about 6 to 8 inches tall. Next trim off the bottom leaves with a sharp razor blade. There should be three or four sets of leaves remaining on the cutting. Bring the cutting to the rooting tray and get out the Styrofoam plates. Poke a hole in the middle just big enough for the stem to fit through. The cutting can be secured in place with some sticky tack (looks like gum). Now submerge the bottom of the cutting and make another cut diagonally. This will expose more stem surface to the water and make it easier for the cutting to absorb nutrients. This cut must be made under water to prevent a bubble forming in the stem, blocking nutrient intake. Now that the cuttings are floating in the rooting tray the water needs to be changed every other day. Just siphon it out and replace it quickly with new hormone treated water. Be careful never to drain all the water out. If the stem bottoms are exposed a bubble will developed inside the stem and the clone will die. After about 10 days in the rooting tray the stem bottom will start to come out slightly. This is the first sign that the roots will appear shortly. Foliar spray with a chemical fertilizer that is high in P at 1/4 strength every three days. Remember to spray the plants the day after foliar feeding with water to clean the leaves of any un-absorbed nutrients. Soon the tiny immature roots will be visible and when they reach about one inch in length they can be planted in the soil and will grow as an exact copy of the mother plant. rock wool makes the process of marijuana cloning much more successful. simply follow the above steps, after making the cutting and applying a SMALL amount of hormone stick the root into the rock wool cube, keep the rock wool wet through the entire process1-2 weeks. though not waterlogged at all times. when the marijuana cloning process is done you will see roots popping through the bottom of the rock wool, now simply plant the square. 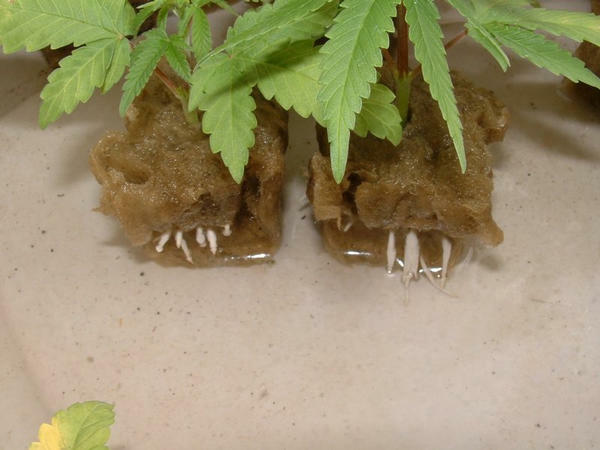 Another advantage of cloning marijuana with rock wool is that you are not just dealing with fragile roots so upon transplant you stress the marijuana plant much less. speeding up the whole process. Have a good look around when choosing marijuana seeds for eventual cloning. some seed banks are a big rip off some have terrible delivery records some just have bad seeds with low THC or high male ratios. The seed banks we recommend have had good reports on delivery or high quality cannabis seeds, we can only go on what we know or have been told. if you have a seed bank you recommend let us know and we will check nit out. also a good idea to check out a seed review site like Marijuana Seed Banks some types of marijuana strains clone better than others. also be aware that the quality of the seeds will affect the marijuana cloning that you eventually do. Marijuana cloning with poor stock will just make the problem worse. if you start with a good strain , then eventually when you go to clone your marijuana plant, your chances of success will be much higher. 2 . Marijuana seeds sold in value packs< high quality and good value in euros.